Israel is a wonderful travel destination for beaches, nightlife, nature, history and for religious travelers who come specifically to see where Biblical events unfolded. Here are the 10 essential attractions for Christians visiting Israel although there are several more if you have time. 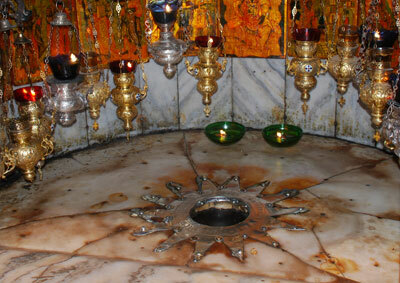 The place of Jesus’ birth, located in the Palestinian territories, this site is best visited with a guided tour. 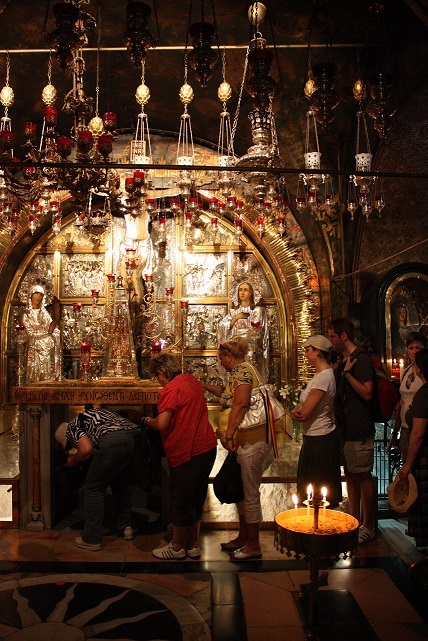 In Bethlehem visit Manger Square and the adjacent Church of the Nativity completed in 565AD, where there is a grotto believed to be the actual site of Jesus’ birth. Alongside the Church of the Nativity is the Church of St. Catherine where there are underground cave chapels one of which is thought to be where St Jerome translated the Bible into Latin in 386AD. On the way to Bethlehem you can go by Shepherd’s Field and the Inn of the Good Samaritan. In Jesus’ home town where his parents grew up, lived and worked you can visit the Church of the Annunciation which stands over the grottoes believed to have been Mary’s childhood home. Visit the St Joseph’s Church and go down to beneath the church to see where the Holy family lived and where Joseph’s carpentry was. 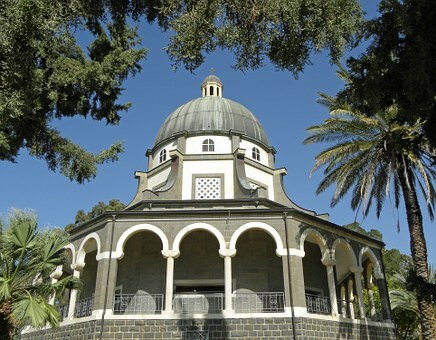 You can also visit the Greek Orthodox Church of the Annunciation which holds the spring from which Mary’s Well is fed. According to Greek Orthodox beliefs it was here that the Angel Gabriel appeared before Mary and told her of her eminent pregnancy and her future son. 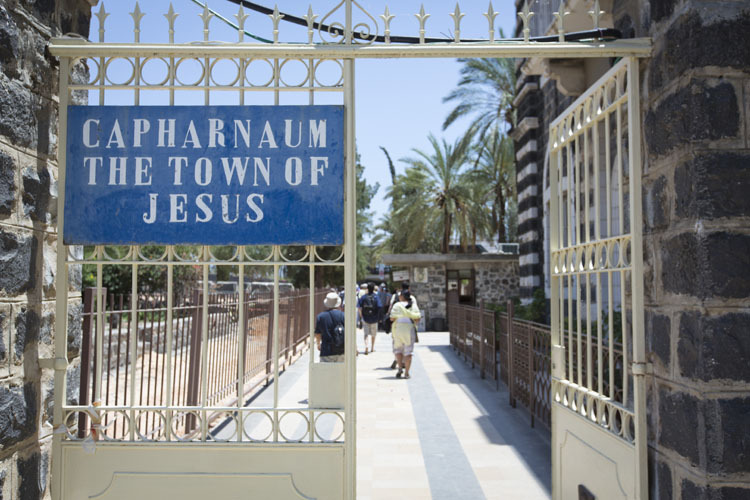 Capernaum National Park is an excavated ancient village on the northwestern shore of the Sea of Galilee. Several sites have been restored including the House of Saint Peter which was used as a church and gathering place for early Christians. A modern church now stands above the remains of the house and a glass floor allows visitor to see into the excavated church. It was here on the slopes of Mount Beatitudes overlooking the Sea of Galilee that Jesus gave his Sermon on the Mount. Today a church stands on the hilltop marking this Biblical event; it is built on the site of an earlier Byzantine 4th century church. The church has eight sides to represent the eight Beatitudes and a gold mosaic in the dome with a beautiful mosaic floor. On the shore of the Sea of Galilee is Tabgha where Jesus performed the Miracle of the Multiplication of the Loaves and Fish. It is also believed to be where Jesus appeared before his disciples after his resurrection and where Jesus gave St Peter the Primacy. Two picturesque churches stand here – the Church of the Multiplication and the Church of the Primacy of St Peter. There are two proposed sites for the baptism of Jesus by St John. The more authentic site it Qasr el-Yehud located in the Palestinian West Bank in the Jordan River Valley. This is also thought to be where the Israelites crossed over the River Jordan and where Elijah the Prophet ascended to heaven. Yardenit is at the other end of the country in the Galilee region but still along the Jordan River. This site has been used as an alternative to Qasr el Yehud which was harder to reach because of its location in the West Bank. 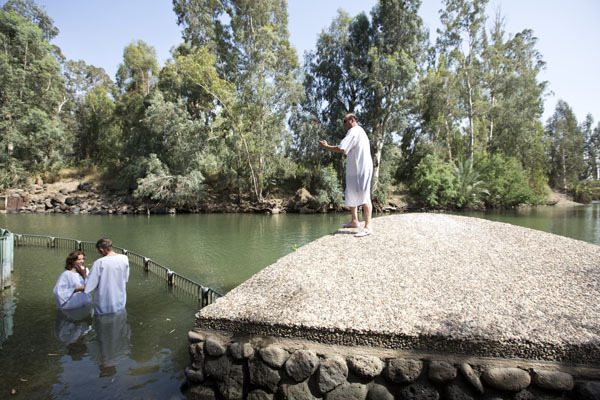 Both sites have been made accessible with wooden decking and stairs with railings leading down into the water so that visitors can get baptized here as Jesus did. The Mount of Olives overlooks the Old City of Jerusalem; there are several Christian sites on this one mount. The Dome of the Ascension is a small chapel covering a stone with an imprint of a foot which is thought to be where Jesus stepped up to heaven. The Garden of Gethsemane lies at the foot of the mountain slope opposite Temple Mount. 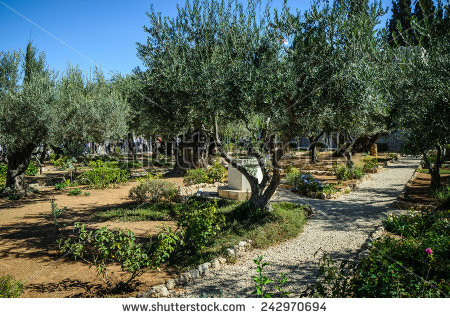 The garden of ancient olive trees was where Jesus came to pray on the last night before his arrest and crucifixion. Alongside the garden is the Church of all Nations recognizable by its brilliant gold mosaic on the façade. The church holds a section of stone believed to be where Jesus sat as he prayed on the night of his arrest. The Russian Orthodox Church of Mary Magdalene stands out on the mount with its gold-colored onion domes. It was built in 1888 in honor of the Czar’s mother and features a beautiful mosaic on the interior. Dominus Flevit Church was designed by Antonio Barluzzi and commemorates Jesus weeping as he looked out over Jerusalem’s Holy Temple and foresaw its destruction. A window has been constructed facing the Old City so visitors can imagine they are seeing the city as Jesus did. On Mount Zion, on the edge of the Old City of Jerusalem is a two storey building; the lower level holds King David’s Tomb and above it is the Cenacle, Room of the Last Supper or the Upper Room. This is believed to have been where Jesus held his last meal with his disciples on the night of his arrest. Follow this route through the Old City of Jerusalem retracing the path Jesus took on the way to his crucifixion. The Via Dolorosa (Way of Sorrows, Painful Way or Way of Grief) is marked by several small churches and chapels each indicating a place along Jesus’ route where he stopped. 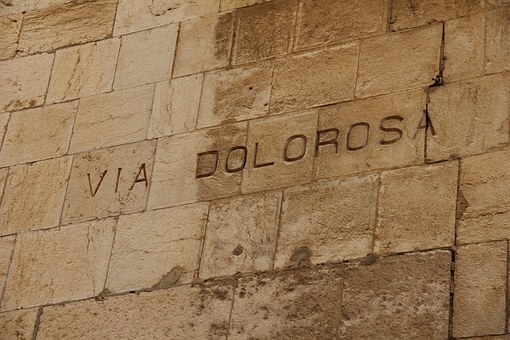 There are 14 Stations of the Cross along the Via Dolorosa each marked by a plaque and number on the ancient walls. The Via Dolorosa takes you though the lively market of the Old City and the narrow lanes until you reach the Holy Sepulchre where the last 5 Stations of the Cross are located. The holiest Christian site in Israel is this incredible church in the heart of Jerusalem’s Old City. 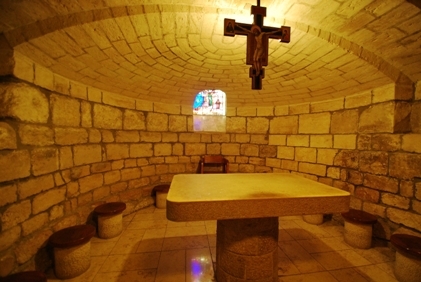 It marks the end of the Via Dolorosa and holds the locations where Jesus was nailed to the cross; died on the cross on the hill of Golgotha (Calvary); taken down off the cross and prepared for burial on the Stone of Anointing and then entombed in the holiest inner sanctum of the Aedicule within the church Rotunda. The church was constructed in 335AD having been identified as the site of Jesus’ passion. Today the church is shared by Greek Orthodox, Roman Catholic and Armenian Churches as well as the Egyptian Copts, Ethiopians and Syriacs to a lesser extent. There are many small altars and chapels in the church with incredible liturgical artwork and an incomparable atmosphere. The cavernous church is lit up by the many candles and ancient lanterns and is a truly magical site for any Christian.